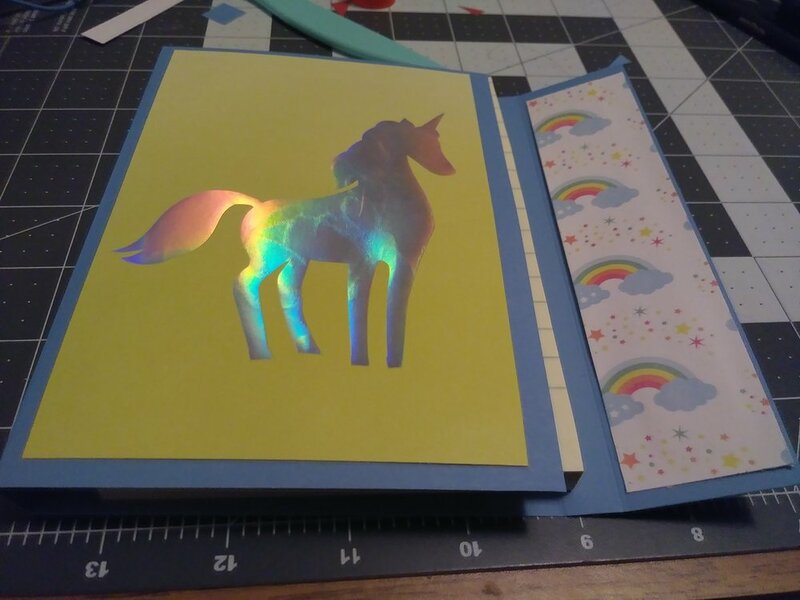 This note pad is pretty and it was fun to make. What I like most is the magnetic closure. You can't see it but you can definitely tell that it is there. 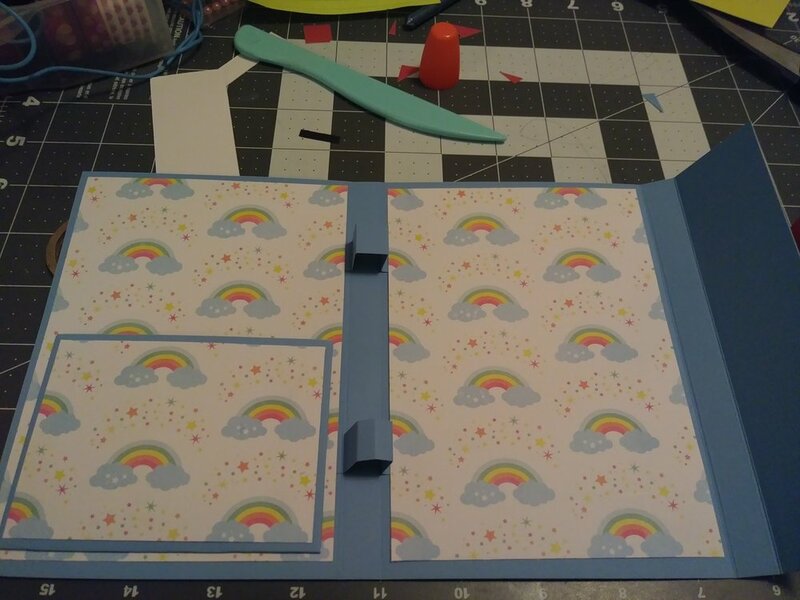 Unfortunately, I already made the first example and forgot to take pictures so in this post I will be recreating the cover and changing to a unicorn theme. 1 sheet of 12 inch by 12 inch specialty design card stock. You don't absolutely have to have this but it does make the cover sturdier and it adds a nice decorative touch. First, cut your basic cardstock down to 6 3/8 inches tall by 11 1/2 inches long, this will be the cover. Using what is left cut a second piece that is 3 1/2 inches by 5 inches for a pocket. 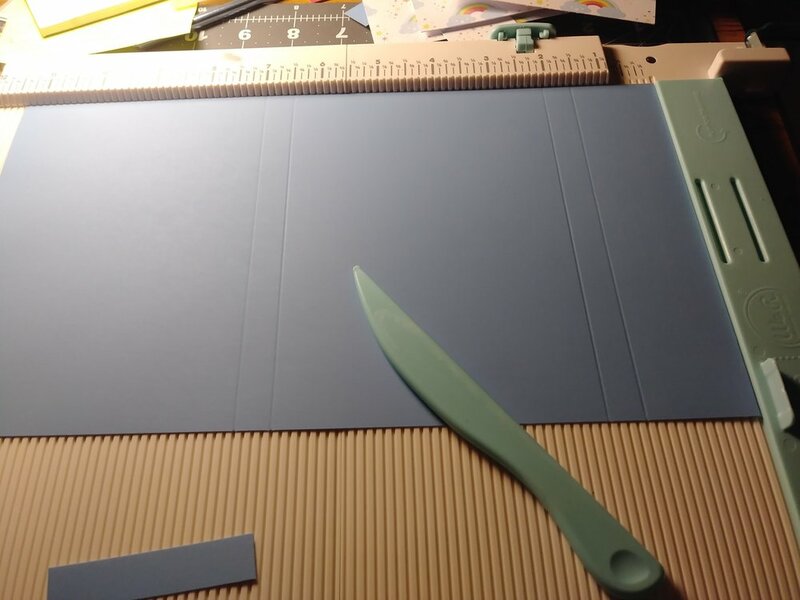 You can measure your paper with a paper trimmer if you have one but if you don't a ruler and scissors will do just as well. 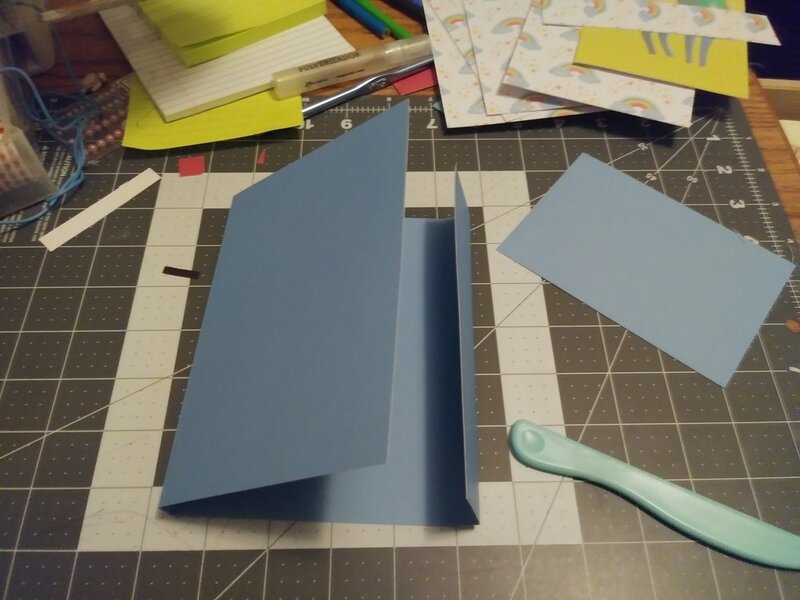 If you want to add the specialty paper to your cover cut out 4 panels sized to 4 1/4 inches by 6 inches, a pocket panel that is 2 3/4 inches by 3 3/4 inches and two slim panels that are 1 3/8 inches by 6 inches. The paper I used and the cut panels are the first and second photos in the gallery below. 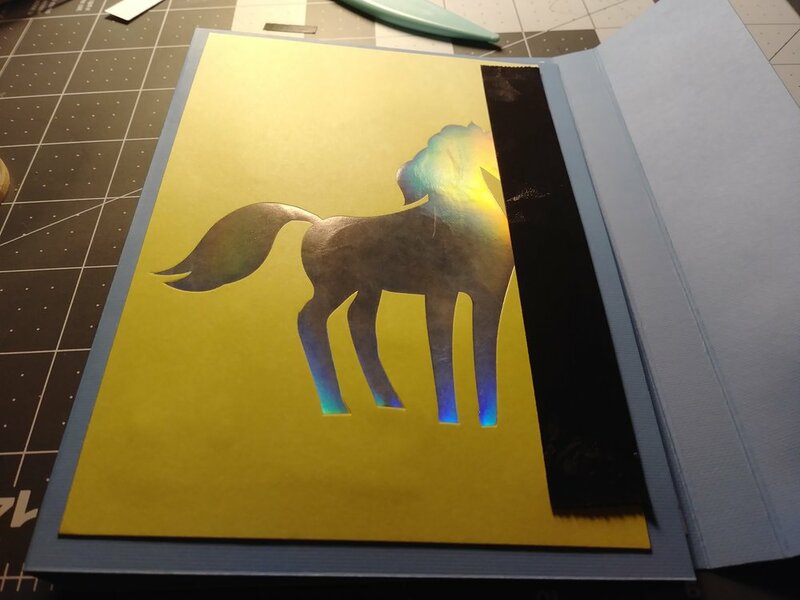 The metallic unicorn on the yellow background was some left over scrap I had from a previous project. Next, score your cover vertically at 1 1/2 inch, 2 inches, 6 1/2 inches and 7 inches. I used my score board to do this which takes out a lot of the guess work but measuring with a ruler and folding the paper works too. You can see in the third picture that my score board counts down so I make my score lines from right to left. If your score board counts differently still make the score lines at the measurments I gave. Just flip your paper over to look like mine. Fold at your score lines, see picture 4. You should see the shape of your cover start to develop. Score your 5 inch by 3 1/2 inch paper at 1/2 inch in from the sides on the two short sides and one long side. Two small squarea will develop in the corner. Cut them out and throw them away, we won't be using them. In the sixth picture you see where I cut the corners on the half inch flaps. This is optional but it makes for better folding later. Now we're going to make the pen holders. When I made this the first time I only had one but I think the design can be improved with two so I'm going to try that this time. 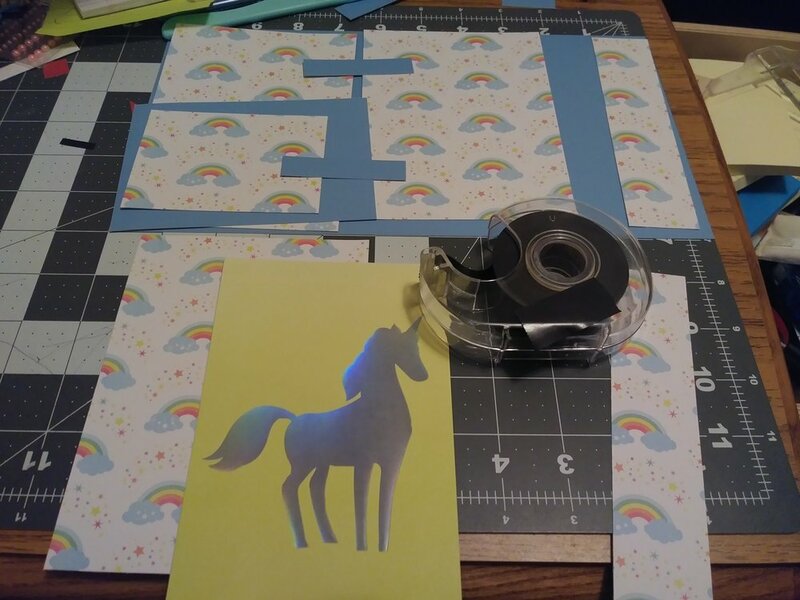 Cut two 1/2 inch thick strips of paper that are 2 1/2 inches long. You can save some time measuring if you use the half inch that was left over from cutting the cover. Score your strips every half inch. 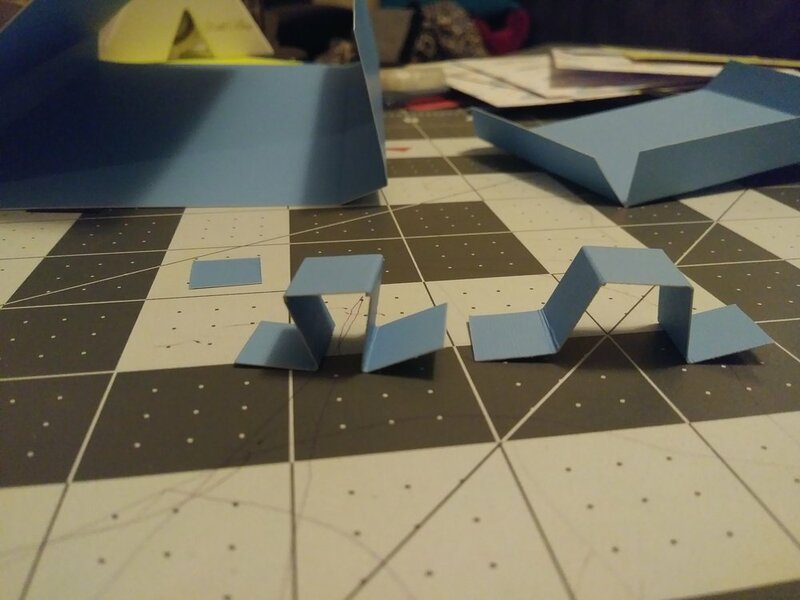 Fold along the lines so that they look like little handles. The seventh picture explains this a lot better. 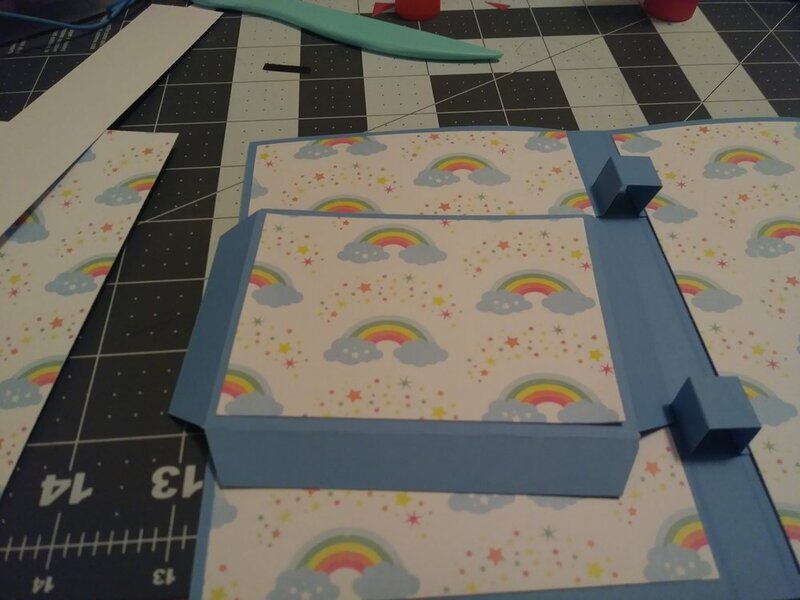 Put glue on the handle parts that will make contact with the cover, matching the score lines on the cover with the score lines on the pen holders. It doesn't really matter where you glue these down as long as a pen can be held down by both of them. Experiment and see what you like best. Picture 8 shows where I put mine. At this point you could be done. This is the basic look and function of the cover. The rest of this post is just giving you some ideas on how to personalize this for yourself. Take three of those 4 panels and glue one on the outside in the center. Turn back to the inside and glue a panel on the left and one in the center, see picture 9. Let's make that handy pocket. Glue your pretty panel on to the front of the folded pocket. Put glue on the surface of the flaps that face you. Place the long flap down where you want the bottom of the pocket. Hold it there for about 20 seconds or however long it takes for your glue to set. Fold the small flaps in then press them down to the cover. This was the easiest way for me to do it. If your pocket is down it should resemble picture 11. All that is left now is the magnetic closure. This gets a little tricky if you don't pay attention to which side attracts. I messed this up the first time and I learned the hard way. If you have the magnetic tape that I have it's sticky on one side and attractive on the other. Flip your front panel over and glue the attractive side down. This is counterintuitive but this will make the pad close properly. Then glue the whole panel down to the front of your cover as shown in the fourteenth picture. Cut a second strip from your roll and place the attractive side down matching where the first magnetic strip was placed. You should feel where the strips are attracted. All you have to do now is close the cover. The sticky side of the magnetic tape will adhere to the insode of the slim panel. See pictures 15 and 16. Since the magnet strips are down, glue your slim panels down. Your cover is finished. Take a picture of it and let me know how it came out on Instagram! I'm excited to see what you did.